When looking back at results of the 2015 Hepatitis C in America study, the most commonly reported aspect of hepatitis C that patients wished they had known about at the time of diagnosis, was how hepatitis C would affect their body (50%). The vast majority (72%) of individuals reported that they were currently experiencing symptoms related to their hepatitis C.
The online Hepatitis C in America 2015 survey gathered insights from 403 individuals who tested positive for HCV and have been diagnosed with hepatitis C. The study not only asked individuals about their symptoms and diagnosis journey, it also examined quality of life and treatment experience. A total of 81% of those surveyed reported having other health conditions related to hepatitis C. Among these individuals, the most commonly reported condition related to their hepatitis C is depression, anxiety or another mood disorder (63%). Other commonly mentioned conditions due to their hepatitis C included muscle and skeletal disorders (50%), as well as skin disorders (31%). When asked, 93% of individuals reported additional health conditions to hepatitis C, with an average of 4.9 different health conditions reported. Similar to those with health conditions related to hepatitis C, depression was the most commonly reported condition by individuals (55%). Besides depression, a notable number of those surveyed also have sleep issues (49%), high blood pressure (40%), are overweight/obese (39%) or have gastrointestinal problems (39%). 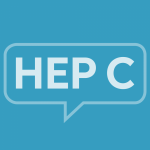 Nearly all (95%) of those currently experiencing hep C symptoms report having at least one additional health condition. So it’s not surprising that fatigue is reported by 99% of these individuals, as patients try to juggle both their hepatitis C and other health conditions. Because there are so many other health conditions that can occur with hepatitis C, it’s very important to discuss all symptoms with your doctor, and it may even be wise to see a specialist for your other health conditions.